Approx. 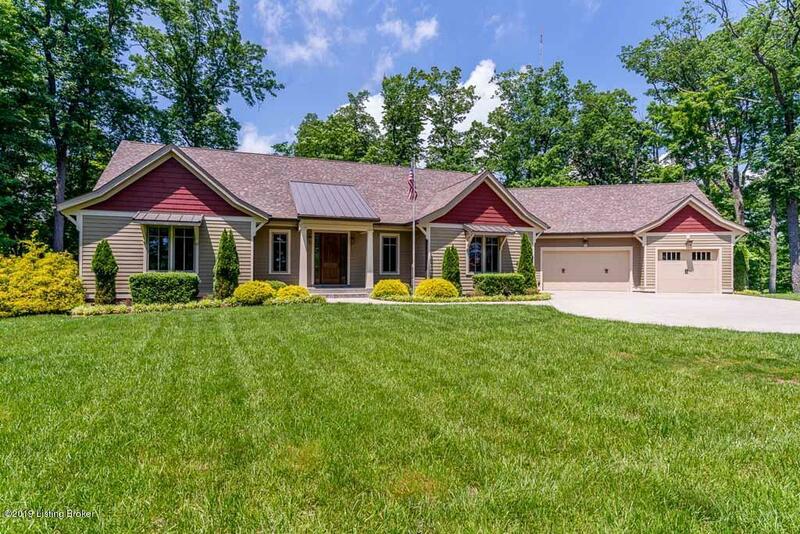 2.48 acres on a private wooded lot with a Custom Built Home by Mark Wrenke, all in the heart of Floyds Knobs on Skyline Dr. Open floor plan ranch with walk out finished lower level. 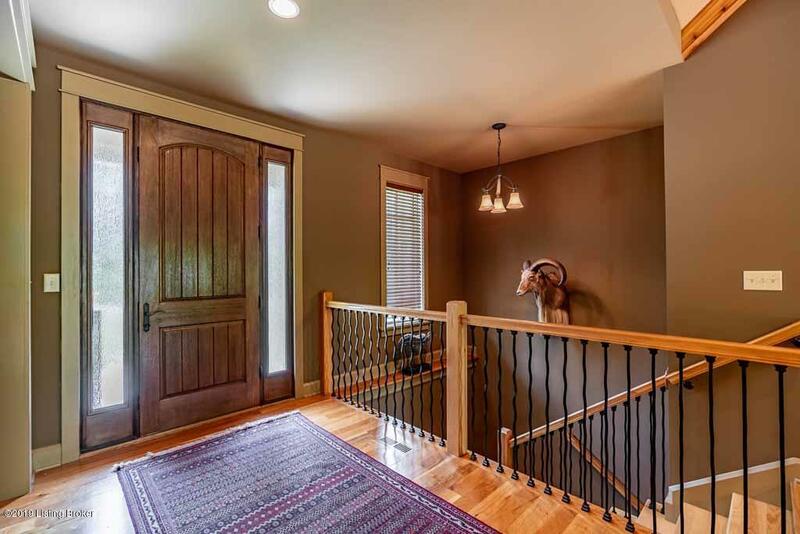 Off the foyer is a room that could be used for multi-purpose, off that room is french doors leading to a private quest suite with private full bath and walk-in closet. 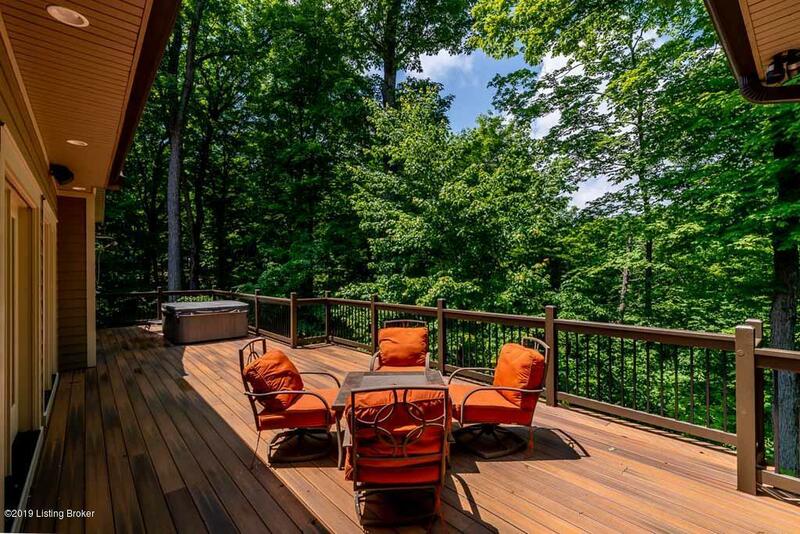 Great room, kitchen and dining are all opening with vaulted ceiling and wood beams, lots of window/doors with great scenic views of the back yard, beautiful 4'' quarter sawn oak hardwood floors. Kitchen offers large island, granite counter tops and lots of Alder cabinets with hidden coffee bar/garage. Nice walk-in pantry room with custom shelving. Master suite offers vaulted ceiling and french doors leading to deck with scenic views.Master bath with soaking tub, separate walk in shower, two separate sinks and walk in closet with custom shelving. Lower walk out level offers 2 bedrooms with Jack-n-Jill bath, exercise room and family room plumbed for a wet bar. 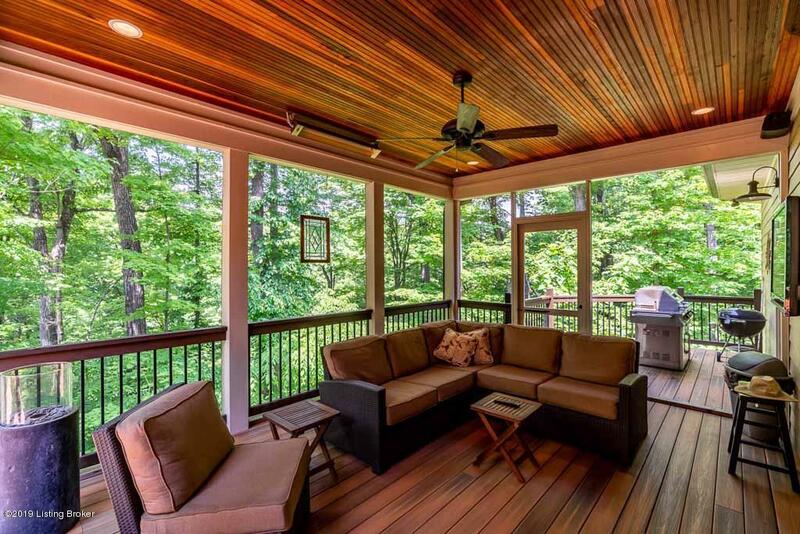 Screened-in porch, and nice large deck with hand held shower by the hot tub. 4 car garage with a large storage closet. Only 20 minutes to downtown Louisville! !